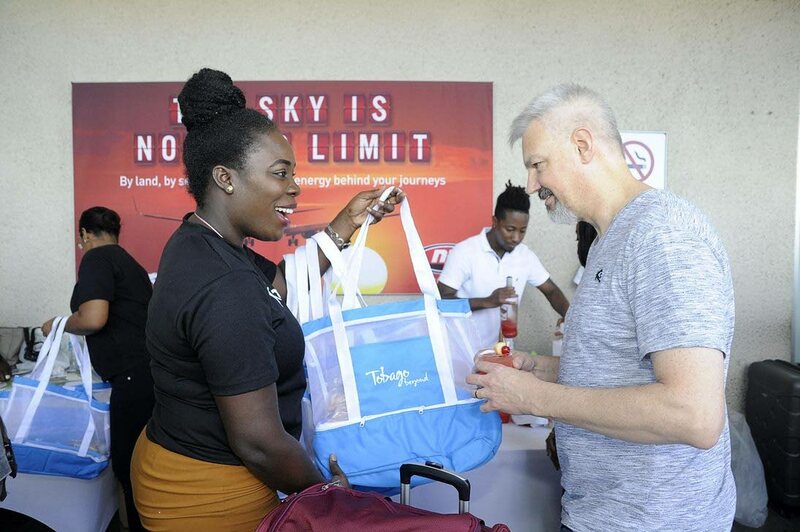 Tobago Tourism Agency Limited’s Marketing Officer Andra Joefield presents a passenger from Sunwing Airlines inaugural Toronto to Tobago flight with a “Tobago Beyond” beach bag filled with local sweets. Chief Executive Officer (CEO) of the Tobago Tourism Agency Limited (TTAL), Louis Lewis said last Thursday that the agency would be working closely with Sunwing Airlines to launch the brand, ‘Tobago Beyond’ in the Canadian market which has been identified as one of the new growth markets for the island. “A direct service from an airline that has a tour operator branch that also has a hotel investment, you cannot look for a better partner. 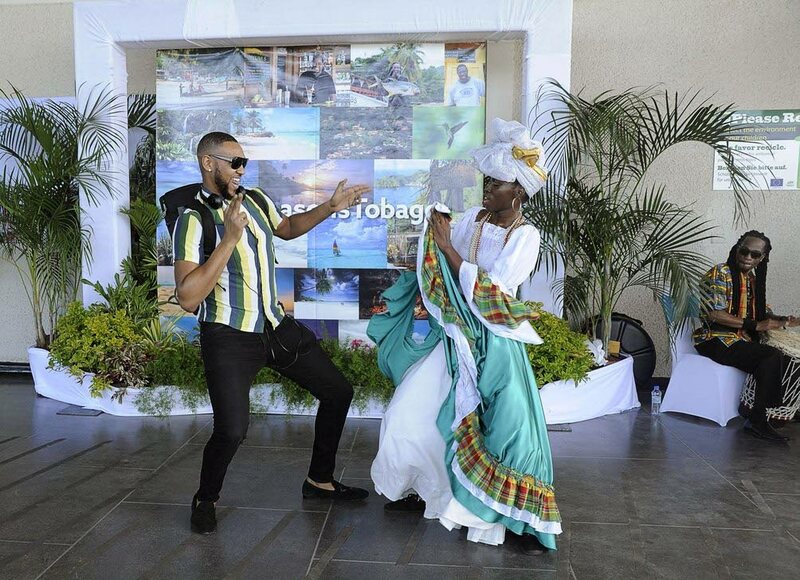 A passenger from Sunwing Airlines inaugural Toronto to Tobago flight with dancer Ameika Lewis during a welcome reception at the ANR Robinson International airport last Thursday. “We at the Agency would be working very closely with Sunwing and the marketing group to launch the brand ‘Tobago Beyond’ in the Canadian market and at the very same time, we would be working closely with them to capitalise on their extensive network so that we can promote the destination in Canada. Lewis said in 2017, a road map was developed by the Agency in conjunction with the stakeholders with one objective being to have a direct service out of Canada by December 2019. “I am happy that we are one year ahead of schedule and I think it deserves some recognition. 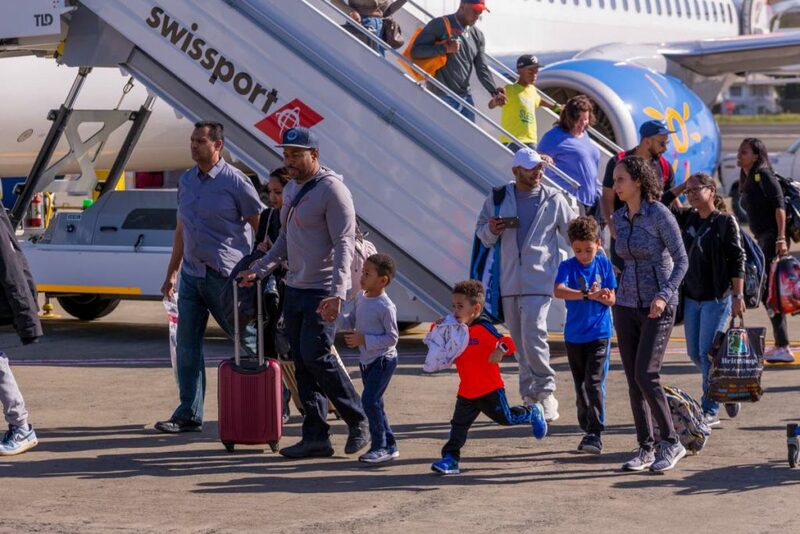 “We saw 127 passengers disembark from an inaugural flight, that is a strong demand and we can only expect it to go better. Traditionally, inaugural flights are very low in attendance… for one like ours, I think it’s a very strong signal that there is a marriage between the product, the promotion and the partnership that we have with the airline,” he said. 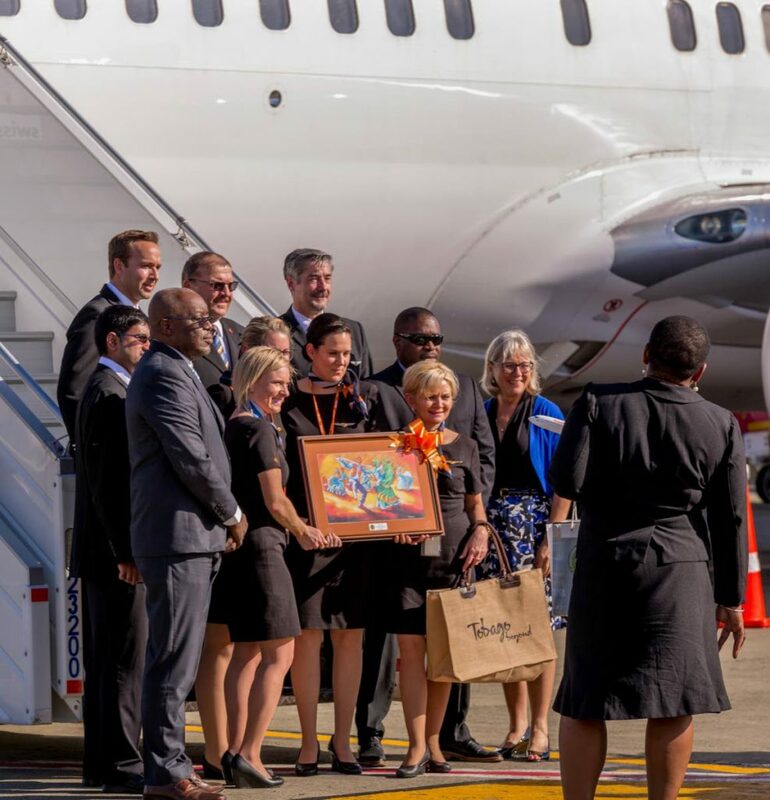 Sunwing is using a Boeing 737 with a capacity for 189 passengers and will operate once weekly direct flights from Lester B Pearson International Airport in Toronto, Canada to Tobago on Thursdays until April 18, 2019. Reply to "TTAL to promote ‘Tobago Beyond’ brand in Canada"